8th April 2017. I have attempted star trails photography a few times. This time the almost 3/4 moon was bright in the clear night sky. Gave lovely light onto Preston Mill whilst I took a series of images of night sky to get star trails. 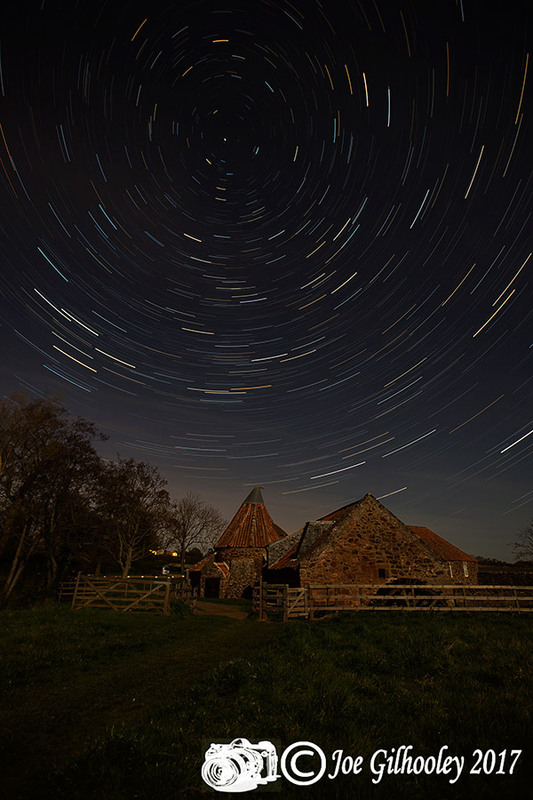 Here is the result of my evening photographing the night sky and star trails. The stars circluate anti clockwise rotating around the north star.